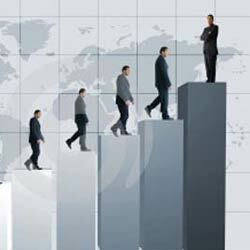 Outsourcing of manpower has become a common practice with companies nowadays. There is always a requirement of professionally qualified and skilled staff in any organization. With the increasing demands of the industry, there is not enough time to get into the complexities of selecting a candidate. This is where outsourcing of manpower comes in. 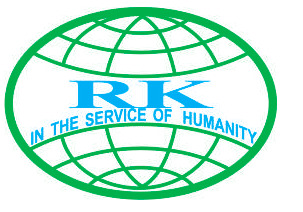 Organizations both large and small are largely hiring services of R.K. International to provide them with outsourced manpower. They no longer want to get into the hassles and the long process of recruiting. Outsourcing of manpower is a complex job. There is a two way responsibility. Firstly to provide skilled manpower to their clients and secondly to provide good opportunities to the candidates who apply through them. This means a lot of responsibility and there has to be clarity from both ends to enable the manpower staffing companies to provide the right results to both its counterparts. It may sound easy but it is a difficult task. R.K. International has major contribution in deploying the third largest pool of skilled manpower in the world from India. Renowned globally, the Architects, Engineers, Computer Programmers, Doctors, Marine Skippers, Aviators, Administrators, Managers.....The Indians have contributed to making of the modern world and so has R.K. International. 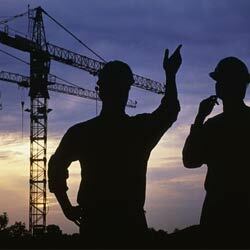 The teeming millions of skilled labour have provided a solid support system. An investment in Indian manpower, a profitable option, has always yielded high dividends in projects as far apart as dams and airports, nuclear installations, high-rise structures and power stations, hotels and hospitals. Indian Manpower has passed the acid test of workability, efficiency and dedication. It matters little whether you need engineers or welders, mechanics or drives, paramedics or IT professionals, physicians or nurses, secretaries or accountants, executives or managers, you will find an Indian ideal to the task. An asset to his workmates, an Indian is surely an asset to his employers, an asset to the place where he resides. The easy familiarity with English language, even at the lowly cadres of labour, eliminates the communication barrier. This fact alone paves the way to higher productivity. R.K. International has a team of efficient and experienced people who have excelled in outsourcing manpower according to the requirements of their clients. Their effort is to benefit both the client and the candidate with a position which is up to the mark for both. The most general approach adopted by most recruitment agents in India is to only release newspaper advertisements for candidate sourcing. This method carries an inherent risk:"The Right person may not even apply." India consists of multi regions, multi language populations. There are 56 local language newspapers and 18 English newspapers. There is not even one publication which controls the attention all over India. 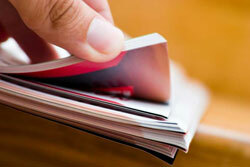 There are newspapers which have ten to fifteen editions from different cities. The recruiting agent may release advertisements in one or two newspapers, without the guarantee of coming to everyone`s notice. For Example,"The Times Of India" has the maximum readership in Mumbai, and it has other editions published from Banglore, New Delhi and Ahemadabad. But the widest read newspapers in Bangalore is "Deccan Herald" and that in New Delhi it is "Hindustan Times". As far as Indian Express is concerned, it has extensive readership as it has more editions including one in Chennai. But the most circulated newspaper in chennai is "Hindu" Compound this to the fact 80% of Indians read local language newspapers and you will arrive at the awesome cost factors. To attract aii the candidates all over India, 56 local and 18 English newspapers have to be used. A small advertisement of 2 column 10 cms(20 column cms) in thses newspapers have to be used. A small advertisement of 2 column 10 cms(20 column cms) in these newspapers will cost a minimum of one Millions Indian Rupees. This is not practicable and nobody therefore attempts it. Secondly, The `right' person whom you are looking for may not go through recruitment advertisements. Because in India, the most tarnised business is recruitment. There are hundreds of unscrupulous recruitment agents who have cheated the job-seekers. The person you are looking for,being a shrewd man may not ever dare to apply, in order to avoid the risk of being cheated. The `right' person, whom you are looking is happy with his present, steady job where he is already leading a good life. R.K. International`s Head Hunters come into the picture at this juncture. 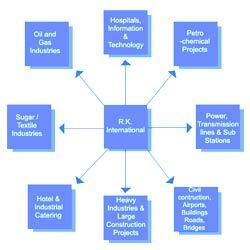 The twelve search executives on the permanent payroll of R.K. International are stationed at different cities in India. Once they identify the `right' person, they use their professional and social contacts to reach him. The search executive explain them the job parameters, the compensation package and the positive effect of such assignments on his subsequent career. A discreet reference to the people reruited earlier is also made and the candidate is invited to contact them to verify the facts. The candidate`s fears are allayed and he is helped to make up his mind. Thus our Head Hunting Team eliminates the possibility " the right man may not even apply to the advertisements". These brilliant achievers are themselves professionals of the highest grade and impeccable credentials. R.K.International has taken pains to include all disciplines to provide a ready, direct access even to the highest caliber. Once we know whom you want, we bring him to you! We source the candidates through our Head Hunting team - on field and off field operations. We also publish the advertisements in leading Indian Newspapers, which have a wide circulation in the areas from where the maximum number of candidates suited for the required job can be located. We pre-screen, sort out and shortlist applicants in accordance with pre-qualifying criteria laid down by client's organization so that any incapable person gets eliminated in the initial stages. Through many years of advertising and head hunting, we have build a rich data bank of highly qualified candidates, we refer to this rich data to help our clients fulfill their requirements. We also conduct random, informal checks to verify the listed achievement and last few work experiences of these short listed candidates at our end to ensure that no discrepancies occur when the same is presented to our clients. The resume of these short-listed candidates who fulfill the specific positions closely are then forwarded to our clients for further screening or acceptance as the case may be. Further, we arrange and conduct Trade Tests/Interviews for certain categories as may be required by our client's organization at a suitable Technical Institute/Workshops and Trade Test Centers. We make all administrative arrangements concerning the interviews of candidates and carry out such other functions which are necessary to streamline selection activities. We also arrange hotel bookings for our delegates/clients, meet and assist them at the time of arrival and departure and provide means of transportation to ensure a comfortable stay while in India. Once the selection process is done, we actively participate in the negotiation process to ensure minimum back out cases as well as to shorten the time gap between selection and joining of candidates. Both, the client and the candidate draw on our in-depth knowledge of market compensation and benefits in order to discuss and plan a competitive and equitable package. Understanding the importance of follow up, we keep in constant touch with the candidates until he/she is deployed to our client's company. Our follow up includes, assisting selected personnel in obtaining passport, extend passport validity, visas, immigration clearance, arranging medical examination of the selected candidates by Doctors on the panel appointed by respective Consulates/Embassies in Mumbai or any city in India, airline reservations, Authentication of Documents from Indian Govt. / Ministries, Arabic translation of the certificates of technical staff and other formalities as required for deployment of the selected personnel. Before Deploying candidates to the actual site of work, we brief the selected personnel about the customs, traditions and laws of the respective countries. We inform our principals about candidates date of arrival, flight number and time to void any inconvenience for ou clients as well as candidates. Further, we interface with theselected personnel and their families in India on the event of any emergencies. Also, we maintain records of all personnel deployed to the clients which can be used for future references. 4000 sq. ft. fully air conditioned and computerized (Pentium 15 terminal), 15 telephone lines (with hunting facility), 03 fax lines. Besides office space, we have 4 CONFERENCE ROOMS for conducting INTERVIEWS. In addition to the equipment for in house trade test of carpenters, masons, electricians, we have 5 welding sets (TIG, MIG COPPER, X-RAY welding generator set and X-Ray Welding Electrical Set) and Gas cutters. Besides these in house trade tests, we have the facilities of conducting TRADE TESTS of Heavy/Light Duty Drivers, Operators of Roller, Crane, Dozer, Loader, Backhoe, Concrete Car Pump. Two Diesel Generators of Kirloskar (one 75 KVA and another 65 KVA) installed exclusively for the use of R.K.I. 7000 sq. ft. At a time 10 persons in each trade (i.e. Welder, Carpenter, Masons, RCC, and Electrician) can be tested simultaneously. We provide Personal Accident Policy to each person we deploy to our overseas client to the tune of Rs. 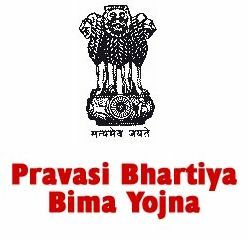 1,00,000/- (Rupees One hundred thousand only) under Pravasi Bhartiya Bima Yojna, a new insurance policy introduced by Government of India for people proceeding abroad for employment. The insurance premium will be borne by us and its subsequent revalidation will be on the request of the employer every year. "Renewal of Insurance" at R.K.I's cost on client's request. We maintain a large data bank consists of competent manpower, in all spheres, having experience in overseas and domestic projects and we do advertise in leading national news papers inviting applications from the job aspirants for overseas job so as to update data bank time-to-time in order to recruit a number of different personnel at short notice. Apart from it, we have field officers appointed in all regions to procure most appropriate workforce from the surrounding projects / industries. Documents for all host countries are invariably same and are listed below. Specimen of few documents is inserted for reference. * Agency Agreement as per standard norms of the company. * Demand Letter (as per specimen inserted). * Special Power of Attorney (as per specimen inserted). * Employment Contract (as per standard contract of the company 'on the company's Letter Head''). * Commercial Registration Certificate (in case of K.S.A. only). * Visa Slip (in case of K.S.A.). * Copy of identity Card / Passport of Employer (in case of K.S.A.). * PTA (Prepaid Ticket Advice) wherever applicable. * Any other documents required to be completed as per the requirement of Government of India or Embassies / Consulates time to time. * We shall be pleased to extend our guidelines / assistance to you in executing the above documents and attesting them from respective authorities (Chamber of Commerce, Ministry of Foreign Affairs & Indian Embassies / Consulates in host countries).